Garments merchandising is totally depends on time scheduling. A merchandiser is too much efficient who can deliver his order in timely. Time scheduling plays an important role through the all processes. As a result, every merchandiser has to follow a working procedure. If the working procedure is perfect then it will easy to respect the shipment date of an order. There are two important key factors for proper working procedure of a woven garments merchandiser. By following it properly, anyone can touch his/her target very easily. The first and most important one is “Fabrics follow up” and the second one is “Order execution”. Among two key points, now I will discuss about the very first important thing named “Fabric follow up”. When the buyer forward his/her sample with all the details instruction, in that time a woven garments merchandiser should be done fabric booking and requisition by following the buyer’s instruction about the types of fabric that he/she advised such as-Cotton denim, Spandex denim, Slub denim, 2/1 RHT etc and also on the basis of order quantity. After completing the fabric booking, a woven garments merchandiser should arrange the accurate fabric as per buyer’s instruction and also in-hosed those before the print and embroidery approval (if there’s any print and embroidery instruction). After completing all the above two steps, a merchandiser should confirm the local accessories booking such as-Sewing thread, Zipper, Button, Metal Rivet etc. and in-house those before staring the Sewing process. As per order specification, if there’s needed any accessories development such as-Logo button, Logo rivet, Logo zipper puller, all types of label etc. then those should be needed to develop with urgent basis. After completing the accessories development, these should be sent to the buyer for approval. When the merchandiser received the approval of those accessories then he should managed the required amount of accessories before starting the sewing process. Here one thing should be noted that, if you are not able to manage all the local accessories before sewing, you cannot control all the next processes in your own way. It’s a very important tips for a garments merchandiser. In the mean time, a merchandiser should make the fit sample by maintaining buyer’s instruction. Here one thing should be noted that, in fit sample, the using fabric may b varies than buyer nominated fabric, color may be varies than buyer nominated color, but measurement must be accurate as per buyers providing measurement sheet. In woven merchandising, washing procedure is very important. 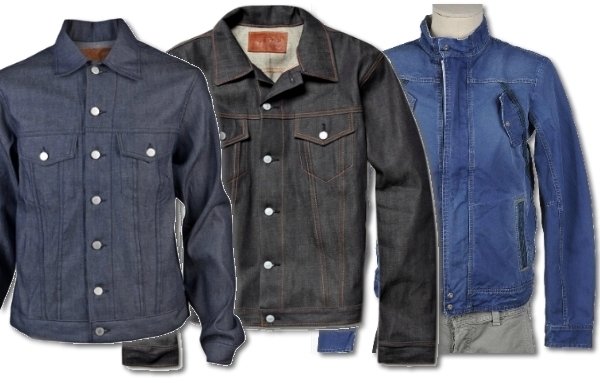 Washing process is the heart of woven garments such as-Denim, twill etc. So it’s needed an extra care in this process though it’s a time killing process. Here a woven garments merchandiser should develop the wash process as per buyer’s instruction. After developing the washing process, it should be approved by the buyer with urgent basis. Because it has seen that a sample has to develop several times due to its different shade than buyer providing original. Here one thing should be noted that less time needed for wash approval, easy to complete rest of the process. P.P sample means pre production sample. It’s the approved sample for the production. P.P sample should be made as per buyer’s instruction. Here all are actual. All comments must be maintained accurately. After making P.P sample it should sent to the buyer for approval. After receiving P. P approval, a merchandiser can easily goes to production. When the comments are received from the buyer, a woven garments merchandiser should cut the fabrics for required quantity by following buyer’s comments. After completing the sewing process, a woven garments merchandiser should send all the garments to the washing plant and follow-up it with buyer’s instruction. When the washing procedure will complete then merchandiser must be hand over all the garments to the finishing section. After finishing, all the garments sent to the QC (Quality Controller) department. These are nice and help full for the trainee merchandisers. Good job. Good for the trainee merchandisers, well done. Thanks for your smart comment……….stay with us……..
After all it’s helpful for trainee only. 3. Sewing /cutting/finishing quality procedure.